The Unimix accommodates hot water, cold water, and gas in a single fixture. Possible services include gas, air, and nuisance vacuum. Available in eight models equipped with varying combinations of water and gas. Unicast and Unimix fixtures are available in ADA-compliant versions featuring wrist-blade handles and ball valves. Both the Unicast and Unimix are equipped with aerators. Optional vacuum breaker, serrated hose connection and aspirator are sold separately. Both Unicast and Unimix are one-piece, solid-cast brass fixtures, heavier and stronger than traditional gooseneck fixtures. The exterior finish is powder coated epoxy, a chemically resistant finish superior to common chrome. 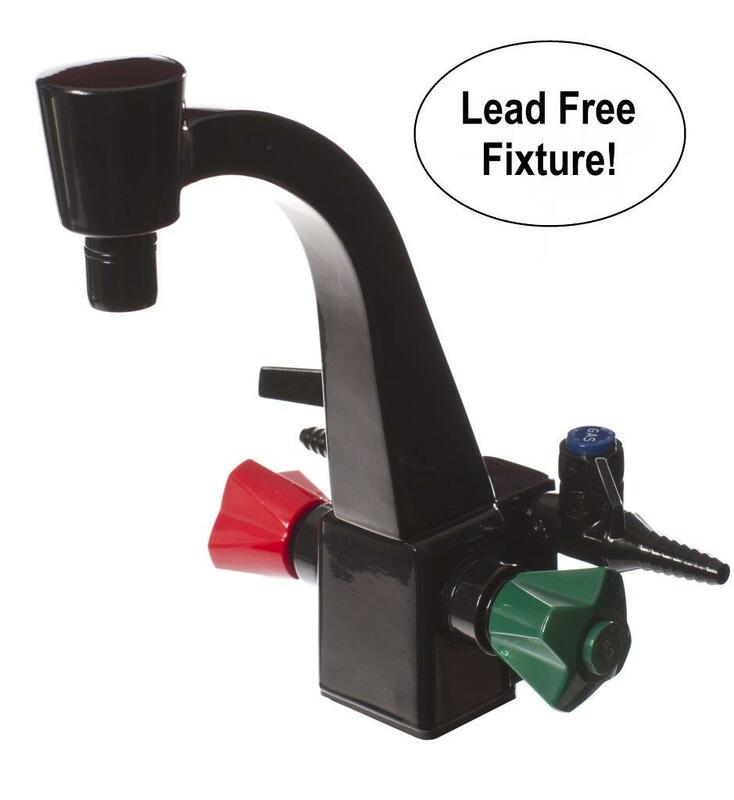 Unimix fixtures are lead free.